The new 2018 Mazda MX-5 Miata Club was “Named a Car and Driver 10Best car for the 17th time.” The current version’s design has turned it into an even more lean- mean driving machine. 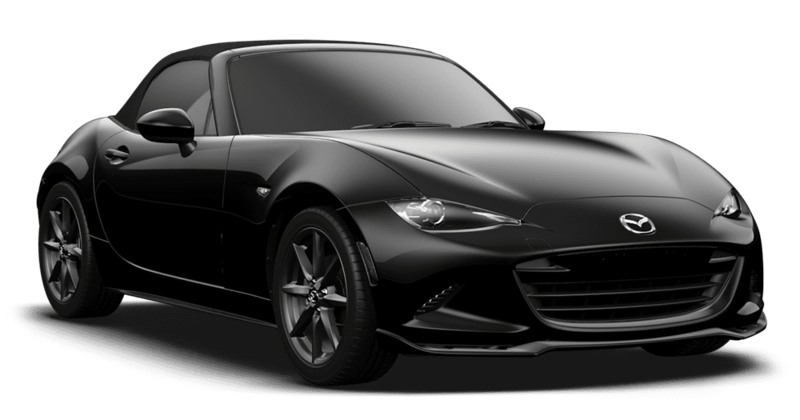 Wherever possible, the MX-5 Miata underwent painstaking weight loss. Even the window glass is lighter. 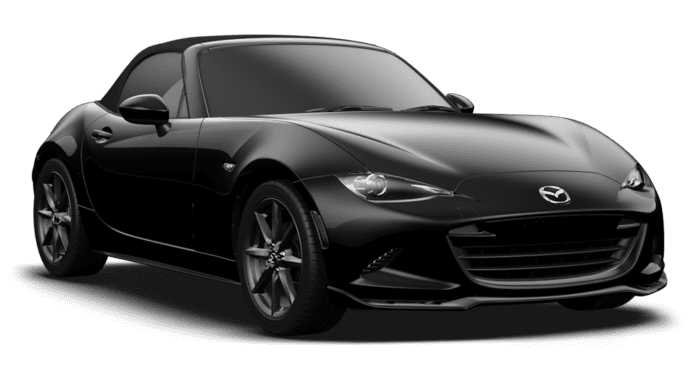 The MX-5 Miata is nearly a half-inch lower in height and has undergone a weight loss of more than 148 pounds from the previous generation, bringing its curb weight down to 2,332 pounds for manual transmission models. You may not see it, but you’ll feel it, as SKYACTIV® TECHNOLOGY1contributes to the MX-5 Miata’s lightness and responsiveness. In and out of every corner. The MX-5 Miata’s 6-speed manual transmission is smaller and lighter than the previous generation’s but keeps its famed short-throw precision. Or customers can choose the 6-speed automatic transmission with steering wheel-mounted paddle shifters. Leather luxury is featured throughout the MX—featuring Leather-wrapped 3-spoke steering wheel; Leather-wrapped shift knob and a Leather-wrapped parking brake handle.